So.. Tissue packets count as souvenirs, right? I hope so, because we found tissues from three different countries while cleaning our bathroom baskets tonight. Left to right those are from England, Spain, and Korea. 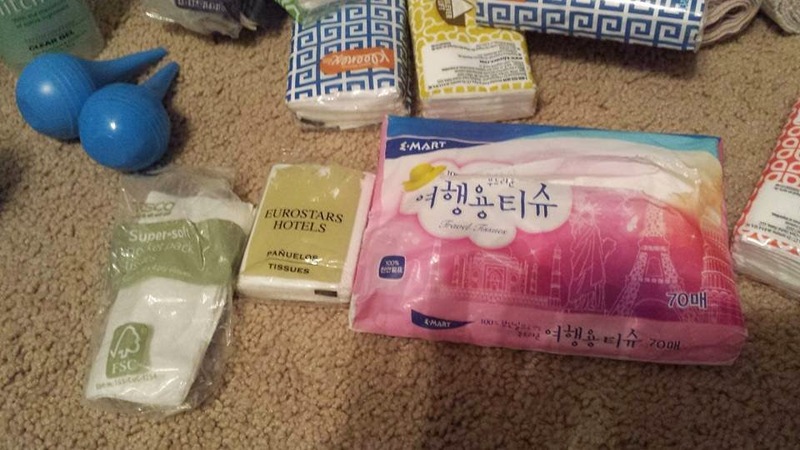 The Korean package is big because sometimes they don't have toilet paper in the restrooms, and you don't want to be caught without!